National Encore of Judy Garland: By Myself takes place March 20, 2015, 9-11 pm (ET) on PBS (check local listings). Judy Garland (June 10, 1922 – June 22, 1969) amassed a body of work astounding in its range, amazing in its power, and timeless in its ability to exult, enthrall, and excite cross-generational audiences. In each medium, her legacy encompassed unsurpassed artistic and popular successes. Public taste in popular entertainment, entertainers, and music changed many times during the twentieth century. As a result, hundreds of gifted or at least celebrated performers once at the top of their profession are now pretty much only a memory: fondly, happily, or proudly recalled but almost solely of their time. Perhaps a dozen exemplary talents have endured — those who broke new musical ground or whose abilities or impact now “define” a generation. But only a very few entertainers have flourished, maintaining their artistic reputations and garnering additional critical and popular respect. The enthusiasm for them continues to grow, as does acknowledgment of their importance, their influence, and their singular ability to communicate with an audience. * Judy Garland’s motion picture work includes thirty-two feature films, voice-over work for two more, and a half-dozen short subjects. She received a special juvenile Academy Award in 1940 and nominations for two other Oscars (for A STAR IS BORN and JUDGMENT AT NUREMBERG). Several of her movies rank among the very best musicals ever produced for the screen: BABES IN ARMS, FOR ME AND MY GAL, MEET ME IN ST. LOUIS, THE PIRATE, and EASTER PARADE. Additionally — and perhaps preeminently — she starred in the most widely seen and (arguably) best loved film in history, THE WIZARD OF OZ. * Judy Garland’s television specials in 1955 and 1962 attracted the largest audiences for any entertainment programs in CBS-TV network history to those dates. Her 1963-64 weekly series has passed into legend as one of the highlights of musical variety video programming. 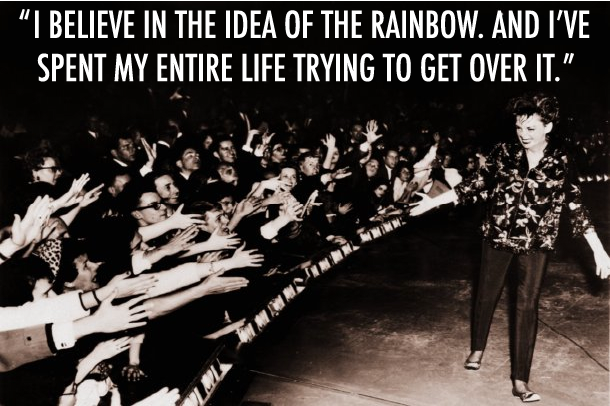 * Fifteen of her recorded singles “charted” between 1939-1954, including “Over the Rainbow,” “The Trolley Song,” and “The Man That Got Away.” Her 1961 “live” two-album set, JUDY AT CARNEGIE HALL, won an unprecedented five Grammy Awards, including Album of the Year and Best Female Vocal Performance. It was the fastest-selling album of its time, on the charts for ninety-five weeks, and # 1 for thirteen of those. From vinyl to tape to compact disc, it has never been out of print. Additionally, Garland’s original 1939 recording of “Rainbow” and the CARNEGIE set were inducted into the Grammy Hall of Fame in 1981 and 1998 respectively. 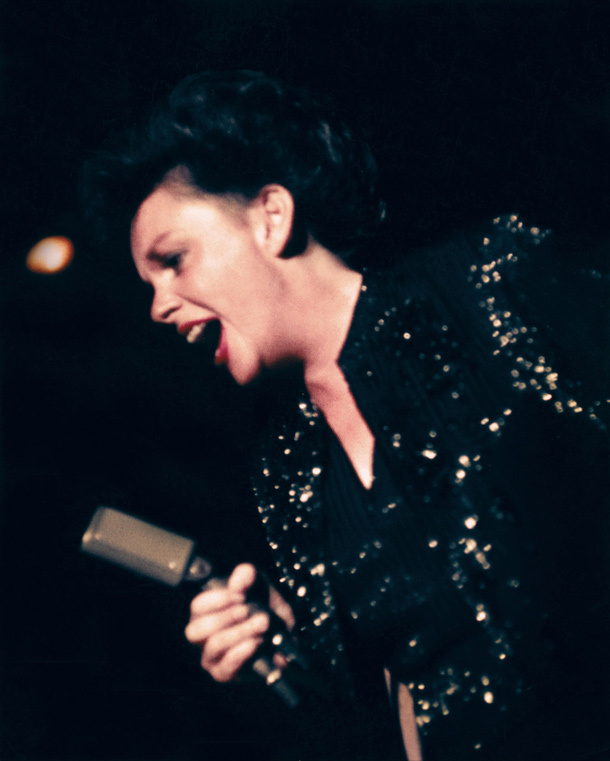 * Judy Garland’s radio work is just now being annotated and rescued from transcription disc oblivion. But between 1935 and 1953, Garland made some 250 airwave appearances, singing songs she never performed elsewhere, acting dramatic roles she was never able to do on screen, and enjoying some of the easiest, most uproarious comedic interludes of her career. * In live performance, she offered over eleven hundred concert, nightclub, and theater revue shows between 1951 and 1969. Just the highlights of that world-wide career comprise an overwhelming catalog. In addition to her Carnegie Hall concerts in 1961, there were three record-breaking Broadway engagements at The Palace Theatre in 1951-52, 1956-57, and 1967. For the first of these, she was presented with a special Tony Award. In an unprecedented one-week stand in 1959, Garland was the first American popular singer to appear at New York’s Metropolitan Opera House. She topped the variety bill or performed in concert at The London Palladium in 1951, 1957, 1960, 1963, 1964, and 1969. There were appearances in Amsterdam, Sydney, and Copenhagen; at The Olympia in Paris and at the Jazz Festival in Newport; as the highest paid performer in Las Vegas history; and in a one-woman show at The Hollywood Bowl where a record-breaking crowd of eighteen thousand-plus sat outdoors in the rain for two hours, twenty-four songs, and four encores — and then made her repeat an earlier song to close out the evening. Such a litany of legacy might seem unnecessary. But since her premature death in 1969, Garland’s professional and personal reputation have fallen prey to both yellow journalism and frequently inaccurate and disproportionate biographers; perspective has sometimes seemed a long time in coming. Fortunately, with the passage of time, it’s also been possible to delve more deeply into the truth behind her work and problems, her seeming genius at trusting the wrong people with her finances and career, and the obstacles she encountered in dealing with her own sensitivity and vulnerability versus the hardheaded and often hardhearted scions of her industry. Given the pleasure Garland’s ability continues to provide, her audiences today are ever more able to draw their own conclusions about both the human being and performer. The general tenor of their reaction offers that she quite possibly has never been equaled. 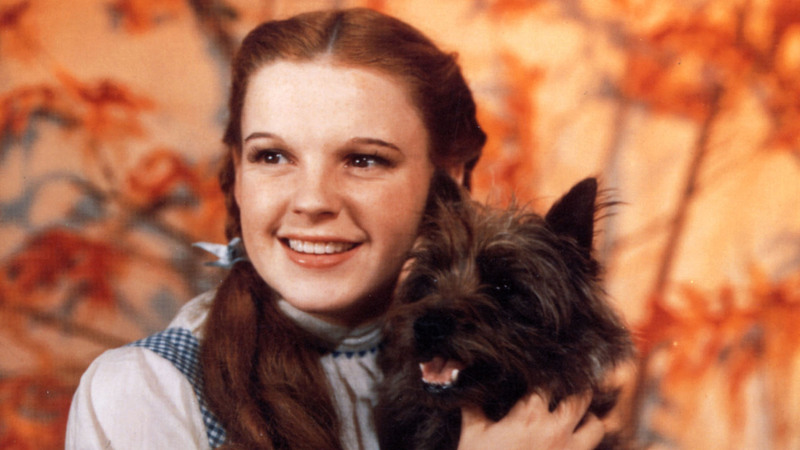 It has also been correctly argued that to experience Judy Garland’s full power, one had to be in the auditorium when she brought her God-given gifts to bear on a suddenly unified collection of strangers. Of course, mass participation in a Garland performance is no longer possible; yet, as no other entertainer before or since, she manages as well to transcend the cold media of film, video, and disc to remain a living, working entertainment experience. Her performances continue to intrigue, captivate, and electrify the millions who watch and hear her…even those far too young to have ever seen her in person. With Susan Lacy, John Fricke is producer of the film, AMERICAN MASTERS: JUDY GARLAND: BY MYSELF (2004). He is the author of JUDY GARLAND: A PORTRAIT IN ART AND ANECDOTE, published by Bulfinch Press in October 2003 to critical raves. An Emmy Award-winning producer, Fricke also wrote 100 YEARS OF OZ, JUDY GARLAND: WORLD’S GREATEST ENTERTAINER, and THE WIZARD OF OZ: THE OFFICIAL 50TH ANNIVERSARY PICTORIAL HISTORY. He is a Grammy Award-nominee for the essay that accompanied the Capitol compact disc, JUDY GARLAND: 25TH ANNIVERSARY RETROSPECTIVE.